It says a lot about Australian politics that the word ‘assassination’ can be used in jest with reference to the removal from office of Prime Minister Kevin Rudd one year ago. Thankfully, something about Australia and Australians has thus-far prevented any one of us from actually deferring to the “bullet” over the “ballot” (to paraphrase the actually-assassinated Abe Lincoln) when it comes to our political leaders. So, mercifully, the national psyche is not haunted by bloodshed when recalling the political assassination last year of that most enigmatic of Queenslanders, Kevin Rudd. Rather, he and a few mates can get together for a pool party to commemorate the event; journalists can fill some of those insatiable column-inches; and the punters can be [insert your choice here] entertained/enlightened/annoyed/bored by further raking over of the muck of ALP party politics. It all reads a bit like a pale, modern version of MacBeth with the troubled reign of Ms Gillard constantly haunted by the hovering ghost of her “knifed” predecessor. 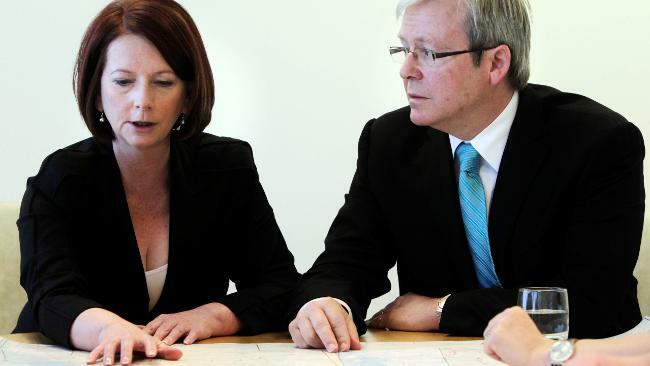 I don’t know what to make of Kevin Rudd. I would not like to work for him and I think he was largely to blame for his own undoing. I don’t know if I would vote for him again, if given the opportunity. But, I think Australian voters should have been permitted to either re-elect or oust him as PM in the general election last year. Those who liked him wanted to vote for him. Those who loathed him wanted the chance to personally spit on their ballot papers after voting against him. All of us were denied our chance by the power-brokers of the ALP. ~ by Garry on June 19, 2011.